I co-founded Butterfly Coins, and designed and built this site. Hope you like it! Passed this coin to someone with unlimited potential and big dreams. Fly on! Traci gave me this coin and has helped tremendously in my Real Estate business with "all things" Internet. I am somewhat TECH-tarted and she has been a blessing. Her kindness is unmatched. Kaori’s birthday dinner at Tadashi. Great service by Anthony so we left him a coin. Do good & fly on! Giving it to my good friend Tony, great to see him after several years! My amazing Uncle Ron one of the founders of ButterflyCoins gave me this coin in Hutchinson Kansas for Christmas and I’m traveling back to San Francisco tomorrow. I’m so excited to find someone to give it to, thank you Uncle Ron! Giving this coin to my intrepid Californian niece Traci. Hope she makes the next release as special as she is! So grateful and can’t wait to pass on the love! Gave this coin to my wonderful cousin Sheryl today. She is the perfect type of person for a Butterfly Coin, caring and thoughtful and generous. I know it’s in good hands (for now). Gave coin to a Boy Scout troop leader, Jeff Beneski, at my son’s scout outing, so he could think about using them for a troop activity. Gave this coin to someone who helped me out on short notice today when I really needed it - thanks Emily! Bought a beer for $20 and gave my bartender the coin. She said she’s gonna leave a note and pay it forward. Fingers crossed! Just gave the coin to our barista at Lola Savannah along with a nice tip... she was a little flustered, as was I, lol... probably thought we were a couple of religious nutjobs. Anyway, hope she reads this, figures out the program here and leaves a note, then passes the coin along in her own way. 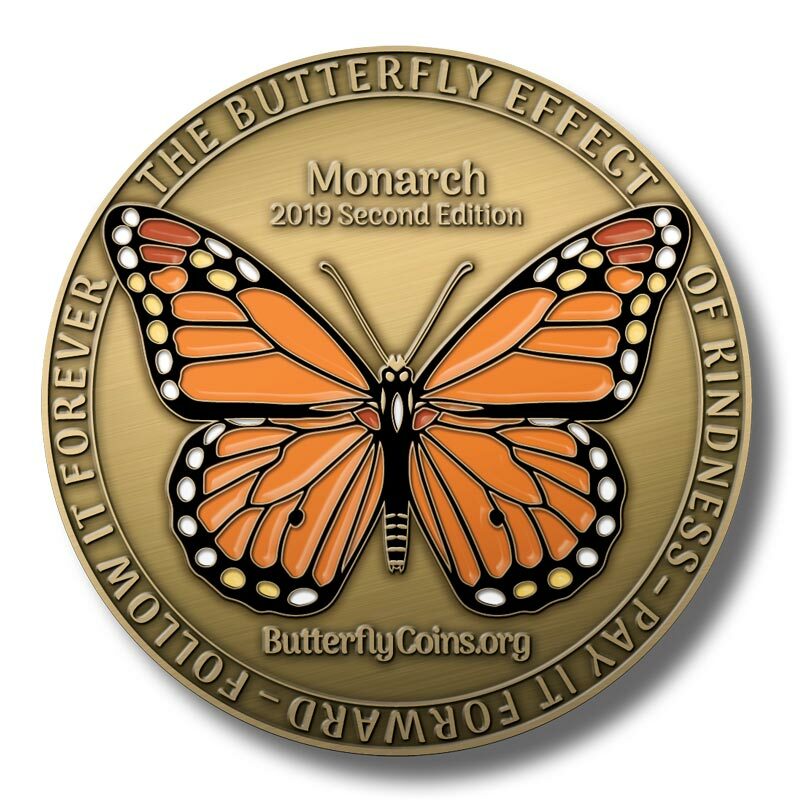 This is a really special coin – the very first Butterfly Coin ever made. I've been keeping it in my pocket every day, and taking it out from time to time to fiddle with it. Hard not to. 🎉🍾Launch Party!! Please join us at The Oasis on Sat, Dec 1, 2018, from 4-7! Hi meedson, sorry for the delayed response. Whoever types in the coin's tracking code first becomes the "starter" of that coin, regardless of whether or not story notes are entered. So, you're friend's account should just start from the home page and enter each coin's code in the form near the top. That should do it. Hi Patty, thanks for your interest in bulk pricing. We can definitely work with you for quantities of 50 or more coins. Please email us the qty you’re thinking about to hello@butterflycoins.org and we’ll get back with a quote. Great to have you here as a part of our budding movement, Jeff! Love your story notes so far. Thank you! Good luck! Too bad we're sold out. Welcome, MonarchsAlways, glad you're here! Make sure you’re seeing both shipping options - Priority (the more expensive option) and First Class (cheaper). That price sounds like Priority. You need to go through checkout until you select the shipping method. The prices are based on the weight of the coins, so the quantity you’re buying will factor in, too. Welcome, dhammapal, thanks for joining us here! Hope you're staying cool down under. No, but it’s something we’re considering. Unfortunately the legal and accounting overhead of getting and keeping non-profit status is not insignificant. That means you weren’t logged in when you made the note. 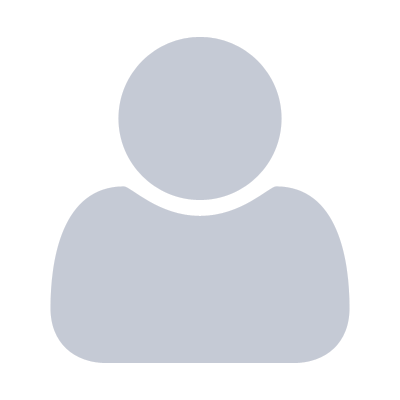 Give me the coin’s url or first 4 characters of its tracking code and I’ll fix it for you. Australia, Greece, UK and Germany so far. Thanks, elis. We're not 100% sure yet if we'll continue to produce them for the whole year. We definitely plan on releasing a couple more editions this year, though. Thanks for your feedback, evie. If/when you log a location on a note is completely up to you. Geolocation services and their accuracy vary from device to device, so it is an inexact science. You can edit any story note you’ve made and change or even remove the location for that note.